What Does Your Buying Process Look Like? Annual revenues generated in the insurance industry are over 100 billion dollars annually. The expected growth from now to 2023 is approximately three percent each year. The key indicators confirm a healthy economy, making it a good time to expand your business through an acquisition. The possibilities are readily available – so are the risks and challenges of the buying process. Acquiring another insurance agency makes sense, strategically. You gain access to another region or market segment with an established following and revenue. At the same time, you eliminate a competitor and expand your own brand recognition. Sounds simple doesn’t it? The process of buying an existing business comes with financial demands. You need to plan for a seamless transition between the two entities. The plan’s purpose is to identify any potential problems before you encounter them. The benefit of having a plan is to save time, frustration and money based on solid facts for making good business decisions. 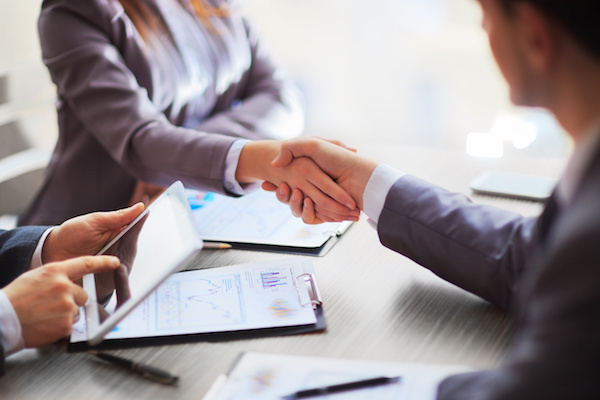 Before the buying process begins, you need to select an expert broker in mergers and acquisitions of insurance agencies. They do the initial fact-finding of identifying agencies with a strong sales history. They also look at existing assets like patents or copyrights that compliment your company’s skills and talent. Getting the team assembled includes engaging a broker, legal advisor and business assessor to figure out how much you can afford to buy. Next, define a profile of the agency you want to buy. Will it be the complete package defined by size, personnel, revenue, location and services? Or are you interested in only in the book of business without the infrastructure? The more information you have helps to narrow down the choices. The full package includes the history of the potential agency and its owner’s connection to the business, staff and clients. These are features that could affect the future growth for you. Keep in mind, when you buy an existing company you purchase its history. Buying the book of business contains customer information and data that’s broken into business categories and market segments. In either case, there may be unknown situations carrying a tremendous liability. An expert team assures a complete assessment to uncover and disclose. You already know, buying an existing agency is going to be expensive. You need to calculate the cost and develop the financial terms that work best for you. By working with an industry financial broker all of these tasks can be accomplished. In most acquisitions, the seller wants a percent of cash up front with payment arrangements over time plus interest. Another form of an acquisition is to acquire at least 51 percent of ownership of its paid-up share capital. Share capital is the amount of issued capital paid by the shareholders. You’ll find most funding companies are happy to coordinate the transaction with an existing company that has a known revenue history and provides instant growth for the buyer’s company. Remember the old saying — buyer beware- sellers will always express the business value in terms of emotional attachment. Buying a business is like buying real estate, buyers are interested in profits. Seller’s revenues are evidence of production and not a true value of the company’s market assessment or its net worth. Do your due diligence to make sure the value of the agency’s historical performance, risk factors, tangible net worth and working capital are authenticated. Look at the agency’s profit margins, retention of staff, errors and omission reports, sales defined by market segments, financial management and its book status. You found the existing agency, you met with the bankers, determined a true value price and negotiated the offer. It’s time to get the details in writing with all the terms and conditions. Before signing on the dotted line, be sure your business attorney has reviewed the sales agreement and that you understand the commitment you are about to purchase. Acquisitions can accumulate a significant financial debt. Managed well, it can generate more revenue and profits for the company. This investment has the potential of increasing the value of the company, magnifying the returns in terms of equity.